Introducing ghd platinum+, the SMART styler that predicts your hair's needs. Platinum+ is the award-winning styler with the ultimate advancement in technology; so intelligent it predicts your hair type and constantly adapts the power to ensure the optimum styling temperature at all times. Get ultimate results and hair that is stronger and visibly healthier* than ever before! Best heat spray I've used. Leaves hair feeling soft and natural. Seems easier to straighten my wavy hair when using this. Hair stays straighter for longer. Would definitely recommend. Really helps in the protection of my hair. Good value for money. I have an extremely fine hair, therefore very fragile and susceptible to breakage. My hair is also very slippery for what I used to find it hard to style and even harder to STAY in style. With my new ghd platinum plus my hair style lasts for days, which is the thing I love the most about platinum plus. Before I had to straighten my hair every day to keep them nice and straight, now I do it only when I wash my hair. I think the breakage is visibly reduced too, which is amaizing since I do not use ... read more heat protection (hair products weight my hair down too much because of its characteristics). Would definitely reccomend! 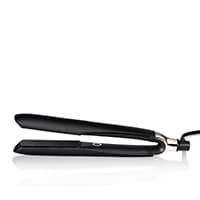 I have owned two different brands flat irons over the years that were supposedly the best that did the job, one better than the other, but neither were as good as ghd platinum+. The first day I used it someon asked me if I had just had my hair highlighted because it made my hair so shiny. Then, over the weekend, someone commented to me, you have the most beautiful hair! I attribute this to the iron. It heats up in a flash, seems super hot, but cool on your hand, and you don't have to go over ... read more each section multiple times. Finally, my hair stays straight! 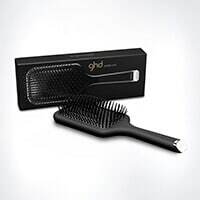 I loved my previous ghd flatiron which wasn't as advanced as this one but I could count on a great styling experience every time. It created very smooth and shiny hair. Unfortunately I stepped on it and broke it. :-( very sad. I chose this model to replace it and I love it! I can use this instead of two previous tools ... flat iron and curling iron. This does exactly what I want. My hair is colored and I can already tell that this is what I needed all along. I absolutely love this great product! This has been the best think i have bough for myself this year. It gives me amazingly beautiful hair each time whether I want it sleek and straight or wavy, it is just perfect each time. 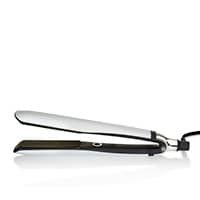 It is also so easy to use and glides beautifully through the hair. I love it and would recommend it to everybody who loves to have a head turning head of hair, like i do! This brush is very nice to use for creating the perfect blow dry. In addition to its high quality and aesthetically pleasing design, it out performs other paddle brushes I've owned in the past. It feels very different to use than my old paddle brush (which I bought from an internationally well known hair salon group). I've found that the drying time for my hair has been significantly decreased since using this brush. Please feel confident in buying this brush, you won't be disappointed. I was always quite confident that this was going to be a great product. I probably have one of the original GHD paddle brushes which has lasted me over 13yrs! I absolutely love this brush, it’s solid and sturdy and does a great job and getting through my tangled hair. I would most definitely buy this product again and I would recommend it.